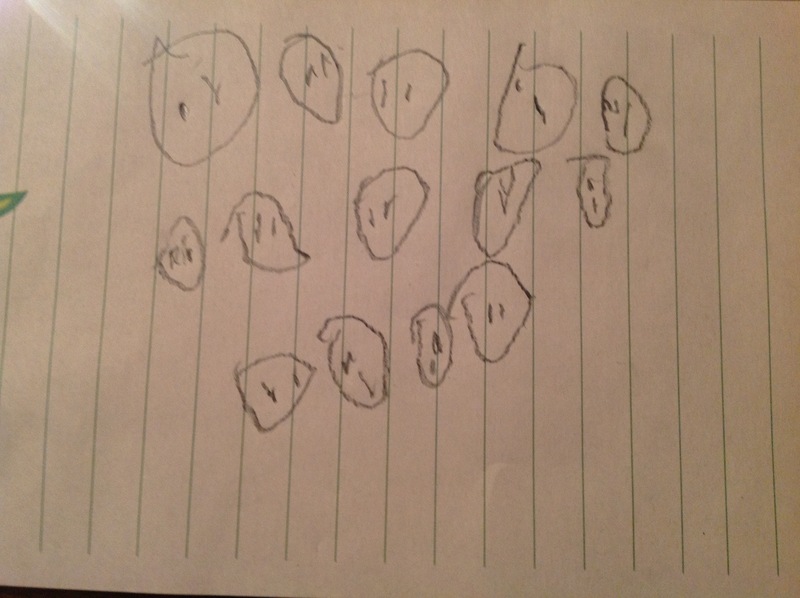 Griffin’s scratch paper. He needed to find 29 divided by 2 on his third grade homework. This week, we were discussing definitions. In particular, we were trying to decide whether we needed to include the measures of the congruent angles in our definition of a rectangle, or whether simply stating that they are congruent would be good enough. That is, can we define a rectangle as an equiangular quadrilateral? 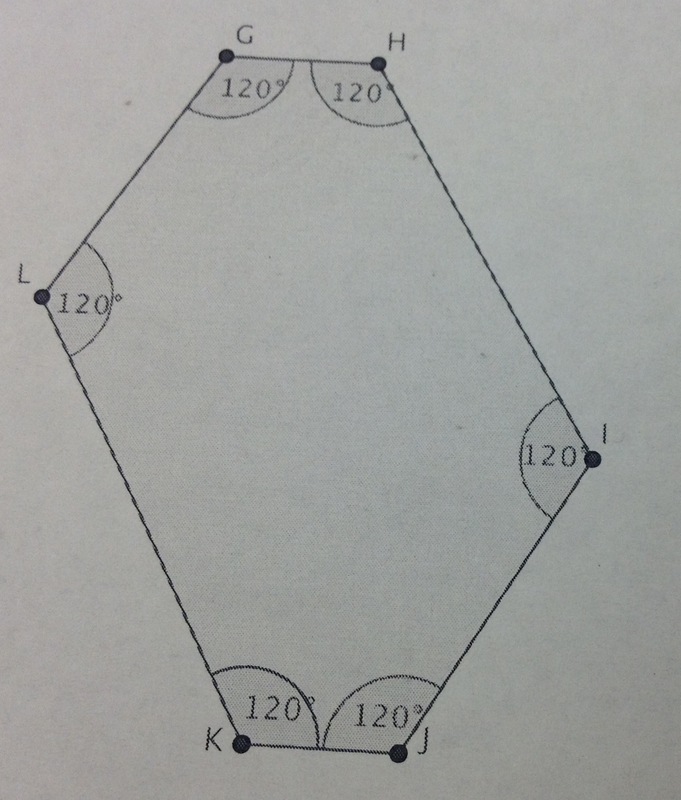 Or do we need to specify a quadrilateral with four 90° angles? This led to discussion of whether it is possible for a quadrilateral to have all four of its angles obtuse. One student argued “No”. She argued that a rhombus typically has two obtuse angles and two acute angles; if you try to make the acute ones obtuse, the obtuse ones become acute. The class accepted that argument (much to my chagrin). You are arguing that a quadrilateral can’t have four obtuse angles by showing that a rhombus can have at most two right angles. But I don’t think that’s true of quadrilaterals in general. I think it may be possible for a quadrilateral to have three obtuse angles. If that’s possible, then your argument doesn’t show what we all seem to think it shows. And maybe four obtuse angles is possible. 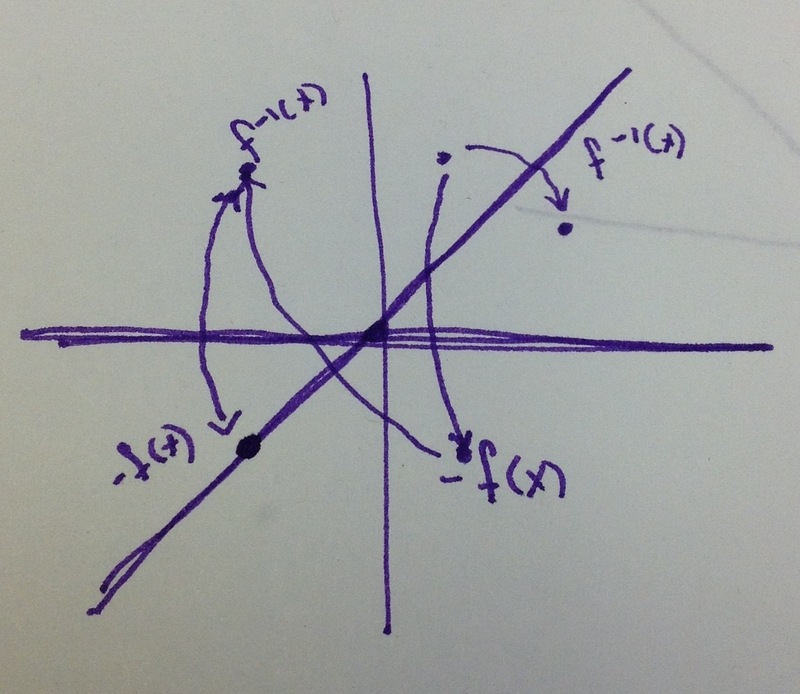 A few minutes later, a student produced the diagram above on the board. A quadrilateral with three obtuse angles. 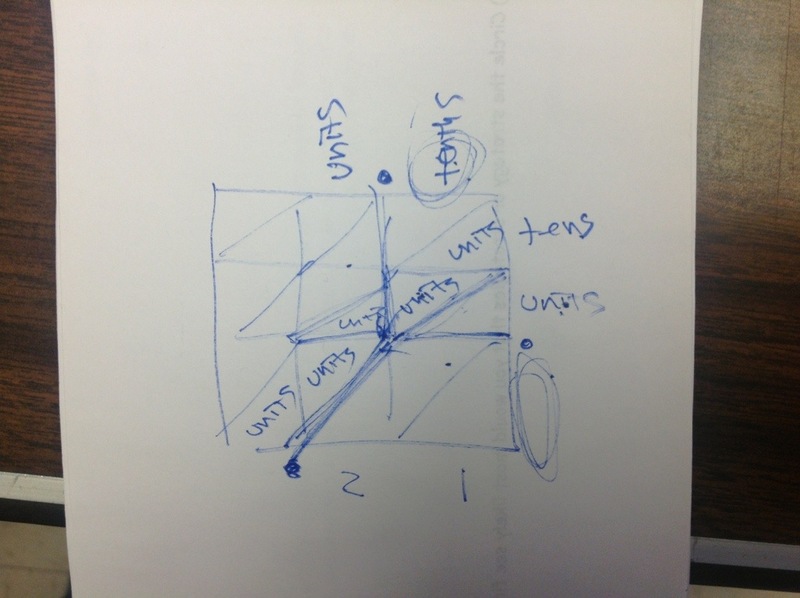 Furthermore, we all agreed that we could imagine tweaking things so that all three of these angles would be congruent. What have we learned? That we still don’t know whether we need to state that the congruent angles in a rectangle are right. Working through a series of rational number workshops for 3—5 grade teachers. My colleague, the incomparable Anne Bartel, drew these diagrams to help illustrate an important difference in two ways children might solve a problem in which 4 things are shared among six people. 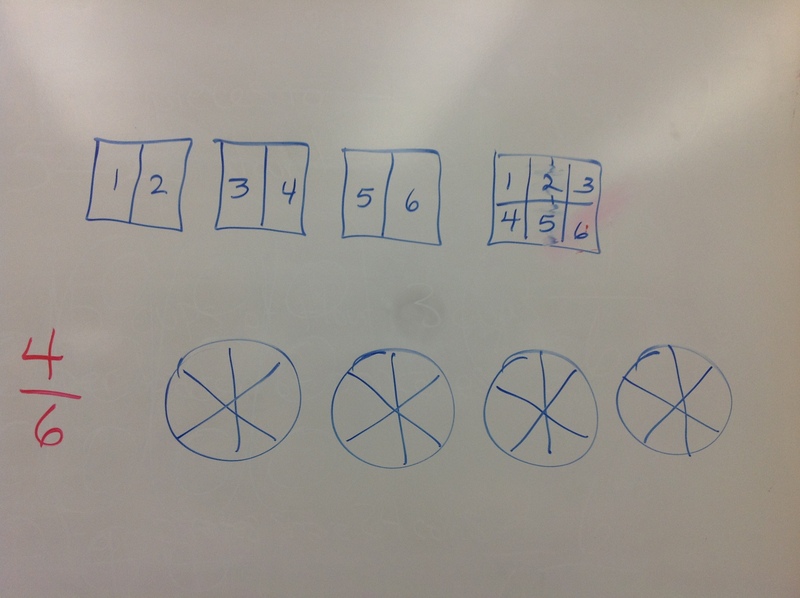 To wit: Many kids will share out halves first, and then deal with what’s left over (top), generating a sum for an answer: Others will partition each of the wholes and distribute one of these pieces to each sharer (bottom), yielding . Or sometimes . 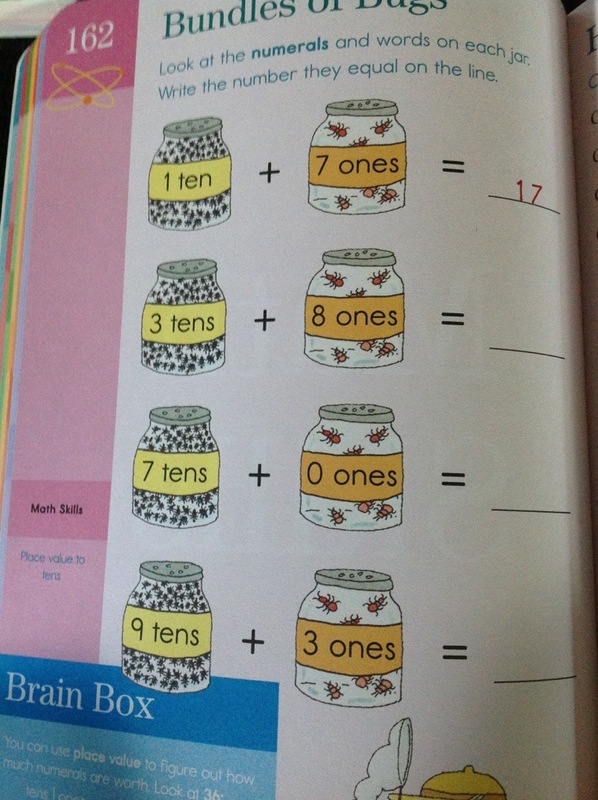 We should be on the lookout for these different solutions and use them to generate mathematical conversation (esp. the importance of saying what we have or of.